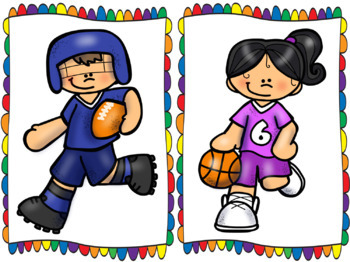 This Sports Themed Super Centers theme is a literacy centers management system. 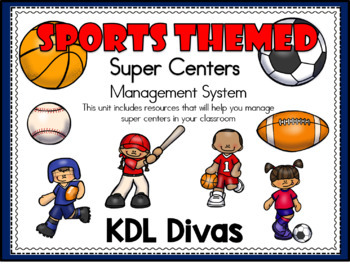 This unit includes resources to create and manage Super Centers in your classroom. 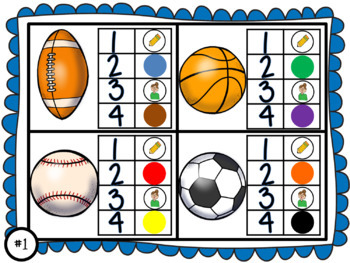 Super centers is a very structured way to manage your literacy centers.. Each student will have a center card they keep in a folder that will take them to 4 different centers. Each day students will go to teacher table, a writing center and 2 center activities. My groups are about 15 mins each so the entire literacy center time is 60 mins. This system is for a 4 day schedule and I leave Friday open as make-up day to finish any unfinished work and Fun Friday for those students that have completed everything. They come to my table to play "fun" literacy games. 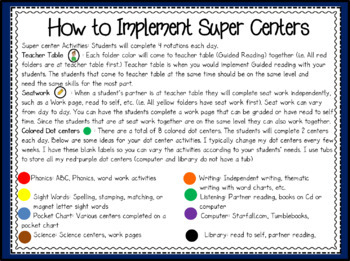 Sometimes starting Super Centers can seem a little overwhelming but this unit includes directions on how to implement it, student cards that tell students where to go, what folders to buy, folder labels, etc...everything you need to know to manage your literacy centers. This system has really helped to ensure that I see EVERY STUDENT EVERY DAY and it has really improved my guided reading time. Hope it's useful to you too! !